Posted by jayne at 11:13 a.m.
Give H my Hippo Birdie good wishes. Great socks, (you know me and blues), mitts and sweater. Sorry you won't be wearing the sweater, but H looks good in it. Love to see you back, Jayne! 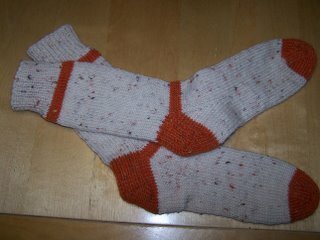 And *I* just completed a basic pair of wool socks for my pepere from yarn I bought from you awhile ago. He loves em! 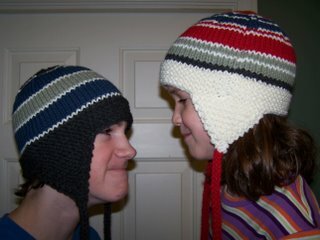 I'll post a photo on Ravelry at some point (I too was so excited to give them to him that I forgot to shoot them, but fortunately he lives just across town). Gotta say, I love your dye-art and think I'm due for some more. Can't wait to see what you turn out with your spinning. Good to have you back. I hadn't realised how much I enjoyed checking your etsy site each day to see what you had loaded on. I missed it! Good to hear that you are well rested, though sorry to hear that your mother has been unwell. I'm back in Australia now (permanently) and about to start on another vest with your chocolate berry truffle yarn! Oh, I also forgot to say... Regarding spinning, I first came across spinning when I was working in Afghanistan. It was a project to help in remote highlands women get a livelihood and source of income. (see http://vasco-pyjama.livejournal.com/172072.html) When I returned to Australia after Afghanistan, I bought an Ashford Joy spinning wheel which I now carry around the world with me. And I love it. And I love spinning! I love the process of creating yarn from roving... and if I was faster at spinning, I would only use handspun! I think you would definitely get a wheel! Yeah Jayne is back. 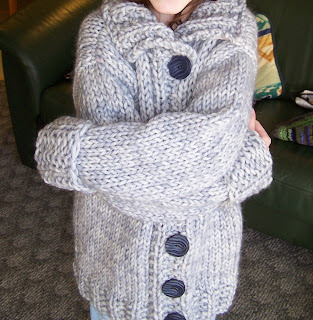 Love your inspirational post, knitting related and otherwise too. Thanks for the help with the wheel information, I have been in touch with Dale! 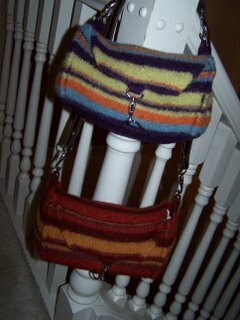 Jayne, I used your rusty camo yarn on all my packages this holiday, and they looked lovely!! So excited to see you blogging again, and Daisy! 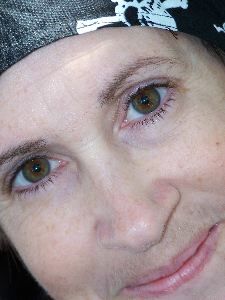 What a doll she is... can't wait to see new pics of your craft room... yay! I love the cameo yarn. I am going to have to check it out. Great blog and pics! I'm trying to decide between getting the Ashford Joy or Lendrum DT as I like the feel of both. I was wondering what made you decide on your Lendrum? Also how much did you buy it for?